Drenth, gforceman, Tom W. and 8 others like this. His website/Facebook thingy says it's 54mm, so it will be fine for those that can see the excellent detail......pricey, though. I can't help but wonder what this guy must have been smoking when this was conceived, but I am glad he did. This is a masterpiece. As others have said, that's absolutely amazing stuff. But at that price (or even the slightly lower launch price) I doubt it'll be a massive seller. That's a lot of coin for most folk to be able to justify spending it on a model. And shipping will probably add another 15-20 Euros, depending on location. Maybe if the riders were also available individually, to spread out the cost?? Blind Pew and DEL like this. If anyone is interested in seeing how it looks when painted then it is on the website coolminiornot.com. It was the winner of the "Crystal Brush" award. Incredible sculpting, but not my field of interest and out of my price range as well. A delightful piece. 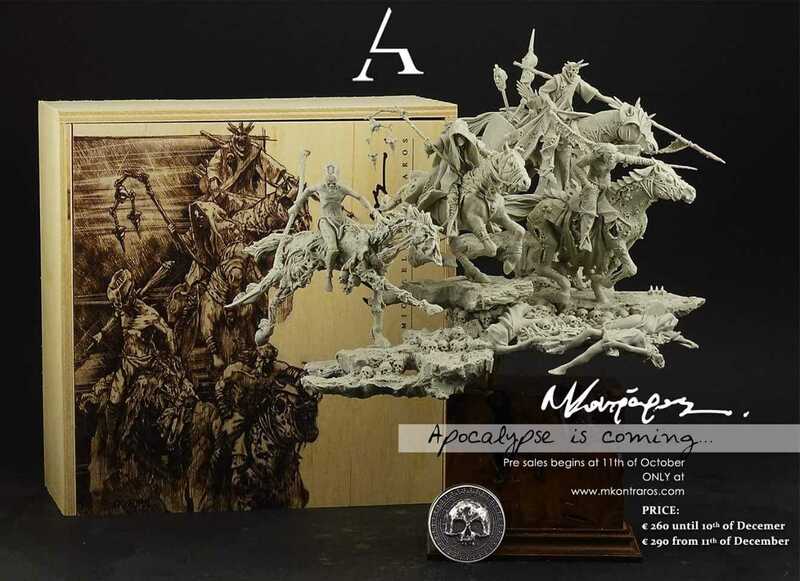 The price of the limited edition is higher due to packaging (wooden box) and quite a few extras and the base. 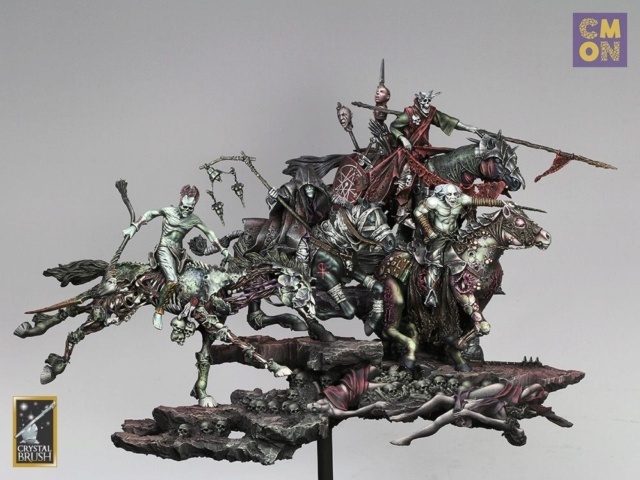 The four horsemen will be available separately later but not the base not the add-ons. I don't faint fantasy stuff but this piece is nothing less than spectacular and incredibly imaginative. I can only imagine the results the top-flight painters will extract from this piece and I would not be at all surprised if quite a few sets were to be sold to people who have no interest in the hobby itself, but will buy it for a commission paint piece of art; because that's what this is - art. This hobby now reaches highs that were simply unimaginable just 15-20 years ago and whilst expensive, I think (personally) it is worth every last Euro! Blind Pew, Huw63 and Tom W. like this.